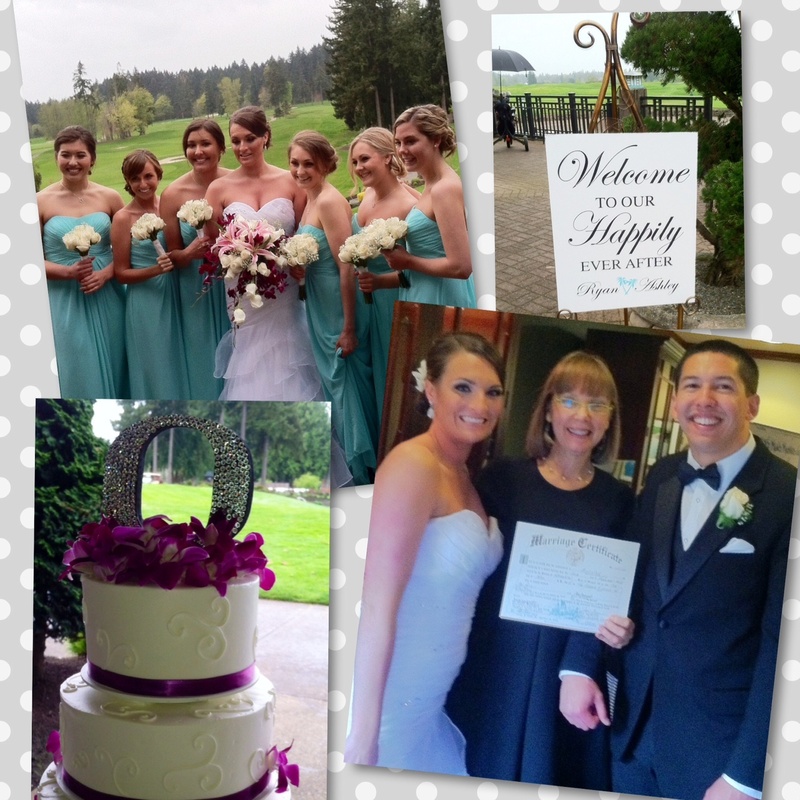 Rain delayed the start but not the smiles at yesterday’s wedding for longtime sweethearts, Ashley and Ryan. Vows were exchanged in front of friends and four generations of family in the Pavilion at the Reserve Vineyards and Golf Club in Aloha, OR. The couple included a sand ritual in the celebration and presented gratitude roses to their moms and grandmas. Following the ceremony, guests enjoyed a cocktail reception, dinner, dancing and the always popular sweets table. The newlyweds will honeymoon in Maui before returning back to work and their home in Beaverton. Ryan is in the field of microbiology and Ashley is an admin assistant at Nike. Congratulations, Mr. and Mrs. Osborne. May the sun always shine in your hearts!